The Cherub Choir is for children in Kindergarten through 2nd grade. They learn to sing music together as well as play musical games and rhythm instruments. 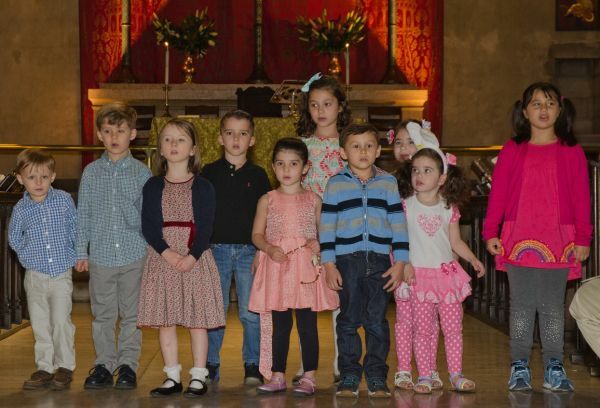 The Cherub Choir rehearses 4:00-4:30pm on Thursdays from mid-September through mid-May, and sings as scheduled at the 10:30am Holy Eucharist. Scroll down to register your child for Cherub Choir. Thanks for registering your children for choir. I look forward to seeing them at rehearsal.